Useful exit interview tips. 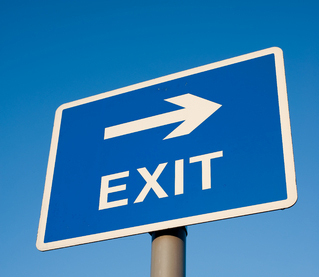 Make the exit process easier by being well prepared for exit interviews. From the employer's perspective the purpose of the exit interview is to understand why the employee is leaving and to gain insight into what areas the company can improve on, the strengths the company can build on and how the organization and management is perceived. From the employee's perspective the exit interview provides an opportunity to give constructive feedback about the organization, the working environment, the job itself and management. Use these exit interview tips to answer in a professional and well-considered manner. The complete list of exit interview questions will prepare you for your interview. Know how to answer these questions properly. Be as objective and fair as possible. Try to remove any feelings of hostility or disappointment from the situation. Don't get involved in the blame game. Be honest but diplomatic. If your reason for leaving is something negative, try and share the responsibility for this. For example: "It has become apparent that my manager and I have different ideas on how to do the job. Both of us have come to the conclusion that it is never going to be a good match and that it is better to move on." Recriminations are not a good departing gift! Stick to the facts. If you offer an opinion be sure you can support it with an actual example. Always have a constructive suggestion for improvement if you are offering honest but negative feedback. For example: "My manager did not always ask for my input before making changes that significantly impacted on my job. For example, she changed the process for handling customer complaints without discussing it with me. It is easier to accept change if one is part of the process. Setting up a meeting to discuss potential change with an employee and asking for suggestions would improve the process." Don't get personal. Stick to an objective assessment of the situation rather than focusing on individuals. Bad mouthing colleagues and managers by name is not appropriate. If asked to describe your relationship with other employees provide a general overview like, "On the whole we enjoyed a positive working relationship and if there were any problems we generally managed to sort them out"
Make notes to take into the exit interview with you. It is easy to forget what one wanted to say when confronted with a formal interview situation. Referring to your notes demonstrates that you take the exit interview seriously and have spent time thinking about it beforehand. Be aware of your non-verbal signals. If your exit interview is conducted face to face be conscious of your body language. Folding your arms across your chest makes you appear defensive. If you are doing it over the phone be aware of the tone of voice. Don't feel pressurized. An exit interview is a voluntary exercise. If you feel too uncomfortable about answering a specific question then simply reply that you have no comment. Use the search box to find exactly what you are looking for.